We're Celebrating Mother's Day for the entire month of May. Honoring mothers is more than a one day holiday at Olympic Cellars. And, of course, her favorite wine! Drop by or post on the Olympic Cellars Facebook page “Your Mother’s Best Advice”. (Click on Discussions) We’re awarding a $100 gift certificate for the “favorite” advice at the end of the month. 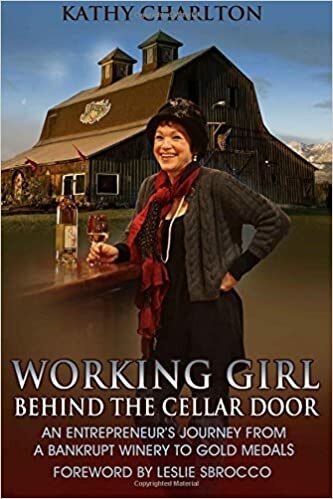 Let the Working Girls at the winery help in your selection. After all, we’re Moms, too. This past weekend we had a great celebration of All That's Local... Bread, Wine & Cheese. During Tami Parr's sessions on Artisan Cheeses of the Pacific Northwest, she talked about how closely linked the goat's or sheep's milk were to the quality of the cheese. You really wouldn't expect anything else... just like a great wine, it starts with great grapes. Tami also talked about how a Chevre was a dead giveaway on the quality of the cheeses made. 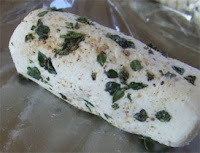 With a fresh Chevre you are tasting the "milk", no aging. With our artisan cheeses the industry is still in its infancy. Our "sense of place" will evolve and not be as broad as Pacific Northwest Artisan Cheeses in years to come. Like our Washington wine industry where grapes are defined by Appellations (a legally defined and protected geographical indication used to identify where the grapes for a wine were grown), I believe cheese making will follow a similar course. Just think, the Olympic Peninsula may eventually be known around the world for our fresh Goat Chevre because of our temperate climate that allows the goats to graze almost year round on grass and brush islands that makes up our lush terroir. Mystery Bay, one of the creameries at Olympic Cellars, offers tours at 6 a.m. and 6 p.m. You can Bring Your Own Coffee or BYOW... but if you choose coffee... then you can have a fresh (and I mean fresh) Goat-A-Chino. Picture this, Rachael, the cheesemaker and owner, is milking the goat and you're standing beside her holding out your cup of coffee for some milk! Got the picture? Rachael was entertaining our guests with stories of the farm and this was my favorite... once you have a Goat-A-Chino, you never go back! P.S. Our Lemberger Rose , (Rose the Riveter) a fresh and young wine, was outstanding with the Fresh Chevre. April 17-18, 11 a.m. – 6 p.m.
Another Creamery not to be missed on the tour and only at winery on Sunday..
Suzanne Tyler is the owner & operator of Wild Harvest Creamery, as well as our resident master cheesemaker (or “Big Cheese”). She has been handcrafting cheese for more than twenty five years, starting out in her kitchen, then studying under some of the best artisanal cheesemakers here in the Pacific Northwest. Suzanne holds a Bachelor of Science degree from Washington State University in Biology and Genetics and has fifteen years of experience as a veterinary assistant. Dr. Mike Tyler has practiced Veterinary Medicine for twenty three years in Washington State, including the last fifteen in Sequim at Greywolf Veterinary Hospital .In addition to caring for all our animal’s veterinary needs, Mike is developing a small orchard at Wild Harvest filled with fruits and nuts that thrive in Washington State. Aaron Tyler is a student at Jefferson Community School in Port Townsend. Aaron helps out in a lot of ways here at Wild Harvest, although now that he is sixteen, his favorite job is driving the tractor. As stewards of the land, the Tyler Family practices sustainable farming, limiting their size to support their local community. A rotational grazing system is employed that harnesses the complementary nature of our livestock. Their Goats (forty Alpine, La Mancha & Oberhasli dairy goats) and Sheep (East Friesian and Locune crosses) feed on the verdant fields that surround our farmstead, allowing them to choose the browse and grasses that best suits their dietary needs. They also do a great job of mowing, leaving less work for our herd of humans! They strive to ensure that our farm is as efficient as possible. Nothing is wasted. For example, in cheese-making, we separate the curds from the whey. The curds become our tasty Wild Harvest Cheeses. The leftover whey is fed to our pigs and turkeys. Not only does this honor the contribution made by our ruminants, it also supplies the pigs and turkeys with an excellent nutritional supplement. It’s a sustainable system in which all parts contribute to the whole. We believe the end result is much greater than the sum of the individual parts. Specialty Handcrafted Cheeses include Chevre, Smoked Paprika Chevre, Alder Smoked Nettle wrapped Chevre, Positively Pesto Chevre and Dill and Garlic Chevre. Looking forward to sharing our wines, meeting the cheesemakers and tasting all their wonderful cheeses. 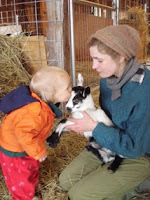 It will be a rare treat for you to meet and talk to Rachael Van Laanen, the owner of Mystery Bay Farm during our Northwest Wine and Cheese Tour this Saturday, April 17 from 11 a.m. to 6 p.m.
Rachael's mission is to create a dairy where the milk and cheese production is not produced at the cost of the land or the health of the animals, and does not compromise the land’s ability to flourish and produce forage for years to come. The goats are 100% American Alpine and she has chosen not to dehorn them, so all the goats (yes, even the females) have horns. 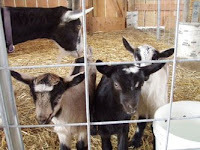 The goats are bred in the Fall (September- November) which gives us spring kids – born 5 months later. Rachael makes both Chevre and Ricotta cheeses. Chevre is made with pasteurized goat’s milk and is often rolled in herbs grown on the farm... chives, fresh garlic, basil and thyme, plus other seasonal flavors. Whole Milk Ricotta Made with pasteurized goat’s milk in Plain or seasonal flavors. 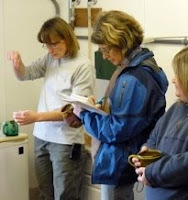 Rachael also conducts three different farm tours (basic, milking or production) by reservation. Guests will learn the basic natural history of goats, their management styles/techniques and see examples of rotational mixed forage grazing. Tours also includes the milking parlor and cheese making facility. The video below in a great introduction to Mystery Bay and Rachael. Enjoy this classic 1972 Monty Python sketch... thought it was too funny after researching and planning our NW Wine and Cheese Tour. You'll understand why after you've watched it. And, believe me we've "Got Cheese and even more Wine"! We're hosting three of the five Olympic Peninsula Creameries. Mt. Townsend, Mystery Bay and Wild Harvest Creameries will be at Olympic Cellars on April 17-18 from 11 a.m. to 6 p.m. each day. This is my first in a two-week series of blogs, videos, emails and Tweets that will have you dreaming about wine, cheese, bread and All That’s Local! I mentioned a Loca–Oeno–Turo–Phile on my Save the Date email yesterday. You might be thinking… here’s goes Kathy again! Is she making this stuff up? Yep... I think I just liked the sound of the phrase; it sort of rolled off my tongue. But, it's not as crazy as it may look. The phrase is the combination of words that describe “a person who likes to eat local and is a lover of wine and cheese”! We all can relate to this. Bottom line, I’m really visual and we all know that a picture is worth a thousand words. So I inquired about a local cartoonist who could depict an Olympic Peninsula Loca-Oeno-Turo-Phile and Keith Curtis was recommended. This is my vision created by Keith… if you have others in mind (cartoons, pictures, etc.) please send them my way. I will post them to the website. Can't you just almost taste the wine and savor the cheese amid the beauty we call home? 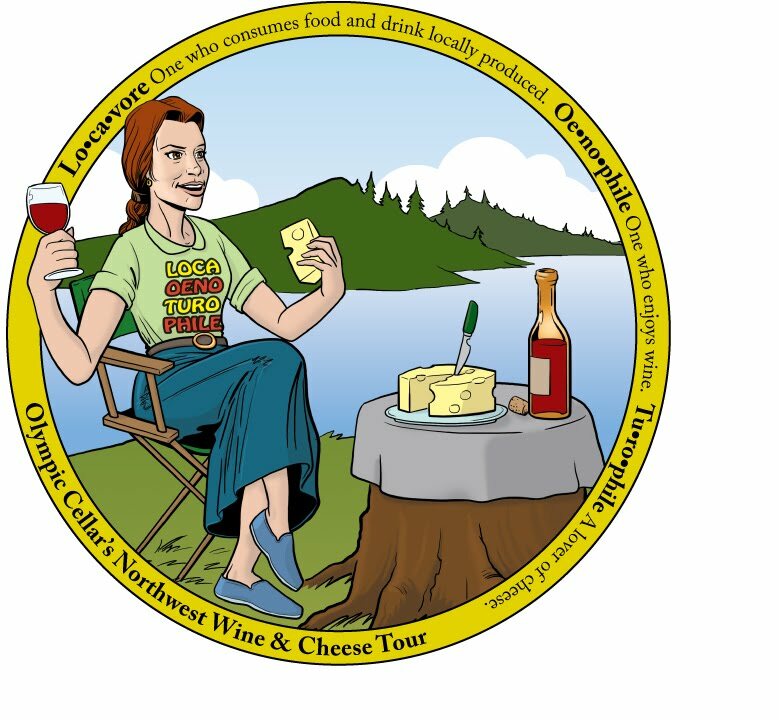 Come visit us for the NW Wine and Cheese Tour at Olympic Cellars on April 17-18 and celebrate All That's Local!